I don’t exactly consider myself the outdoors type. I mean, I didn’t grow up in a “city” per se, but I totally believe I was meant to be a city girl. Well obviously that didn’t happen and I’m located in south; where the humidity eats you alive and there are more hot days than not. 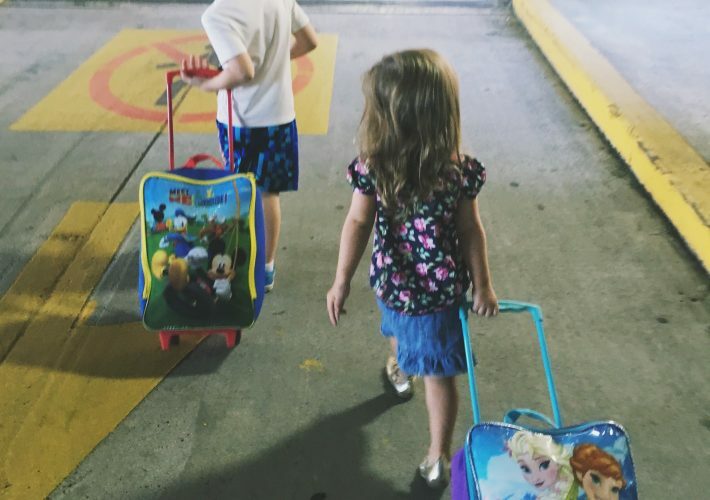 But my kids LOVE to be outside and obviously, this mama is going to make them happy. 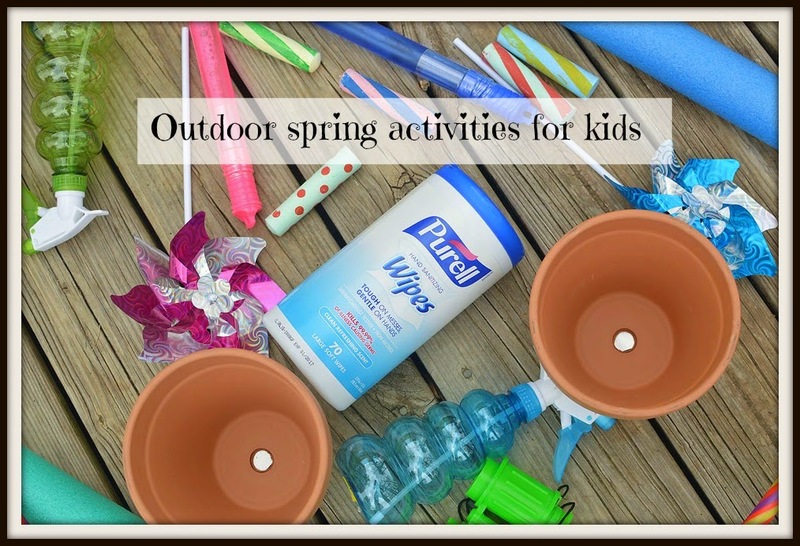 Well now that the warm weather is here to stay, I’ve been planning activities to do with the kiddos. 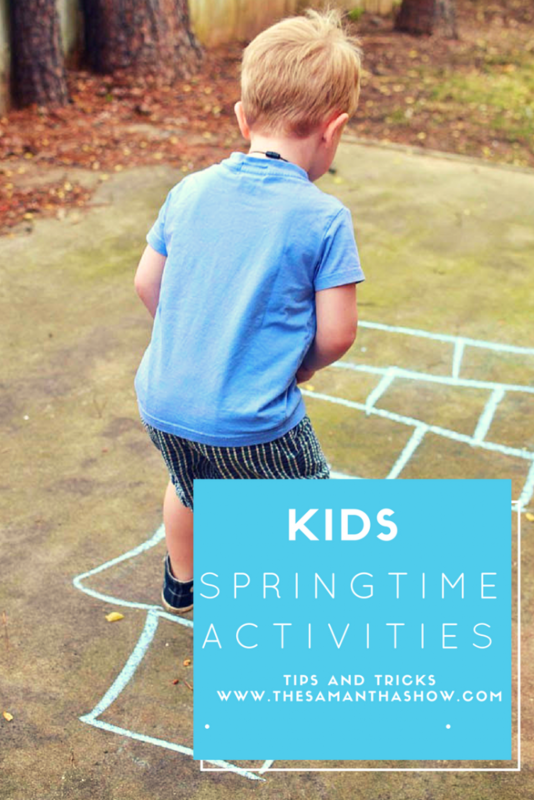 My three year old and one year old are obviously on different sides of the spectrum when it comes to activity level, but I try and find activities that will interest both of them. But we have a lot of fun outside, especially now that we have a huge backyard! 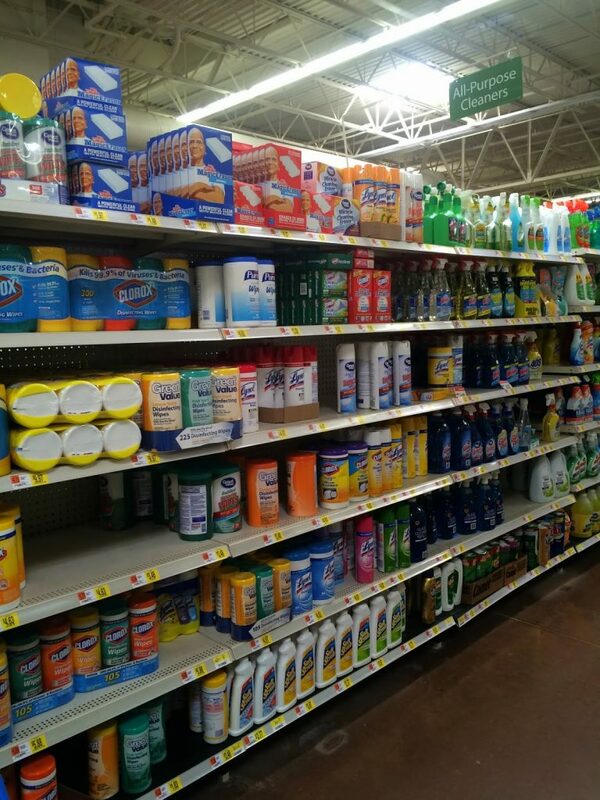 I recently headed to Walmart and picked up a ton of outdoor toys and equipment. I wish I had captured Bubs’ face when he got to look at everything because it seemed like the best day of his life. Crazy what a few new toys and activities will do for a kid, huh?! Chalk: this one is pretty obvious. 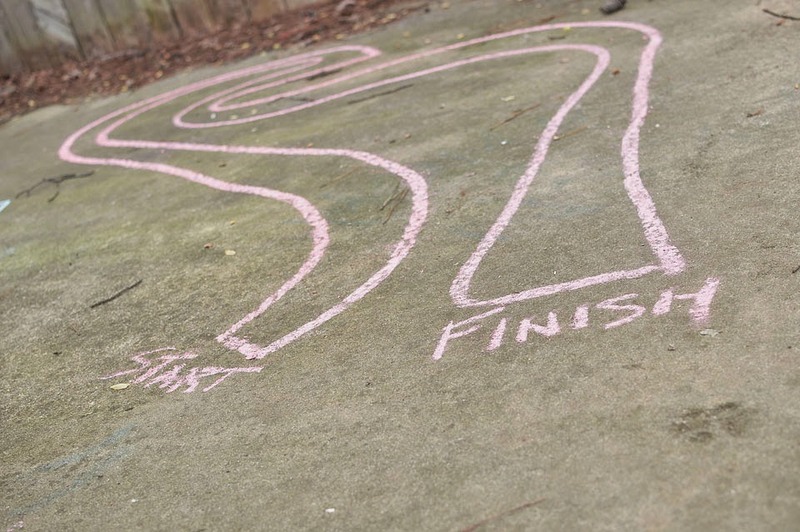 But we like to get creative and make race tracks, hopscotch, stones for “hot lava” and other games. 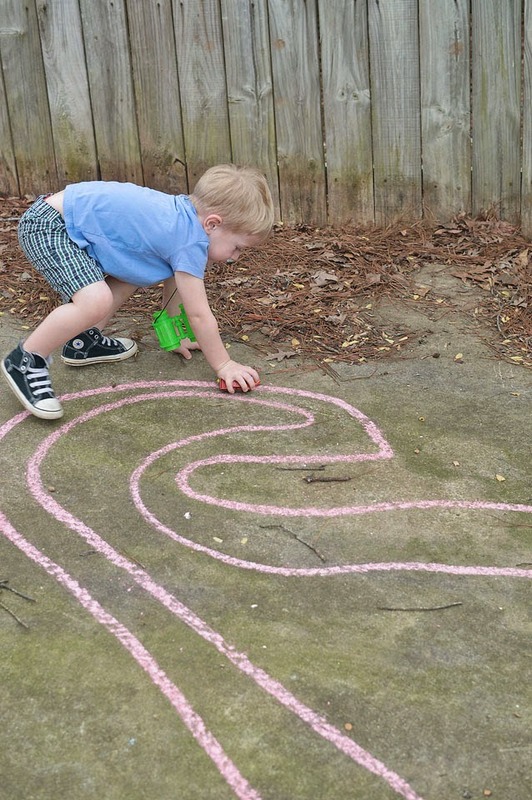 Drawing pictures is fun but using the chalk to make a game keeps them occupied a lot longer. I had all intentions of painting these with paint but thought it would be fun to use chalk. Anytime it rains, it will wash away and we will have a clean canvas! 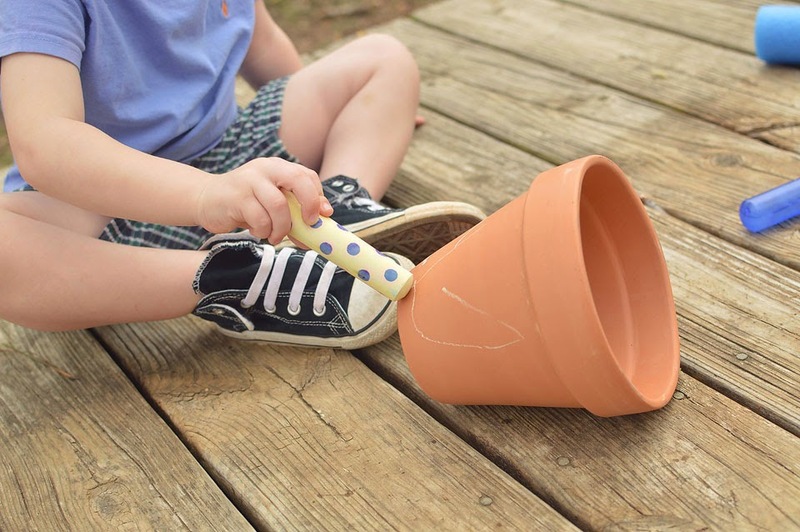 We’re going to plant flowers in here soon too… which is another fun activity! Planting and caring for plants make them feel like they have their own little responsibility. 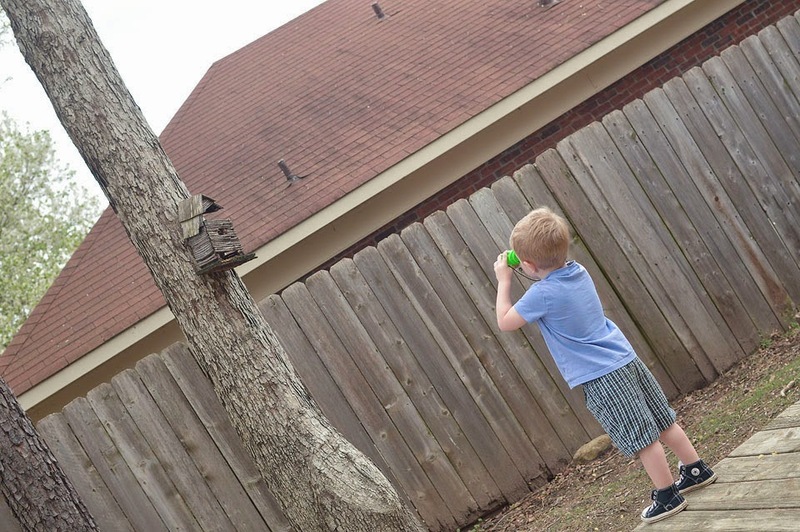 “Bird watching”: Now of course your littles are probably too young to actually spot birds. But I think Nolan was more excited about these binoculars than anything else. We looked for birds, bugs, and whatever else we could find. Make it fun; pretend you’re on a safari and you’re looking for dinosaurs. The more imaginative you are, the more fun it will be! 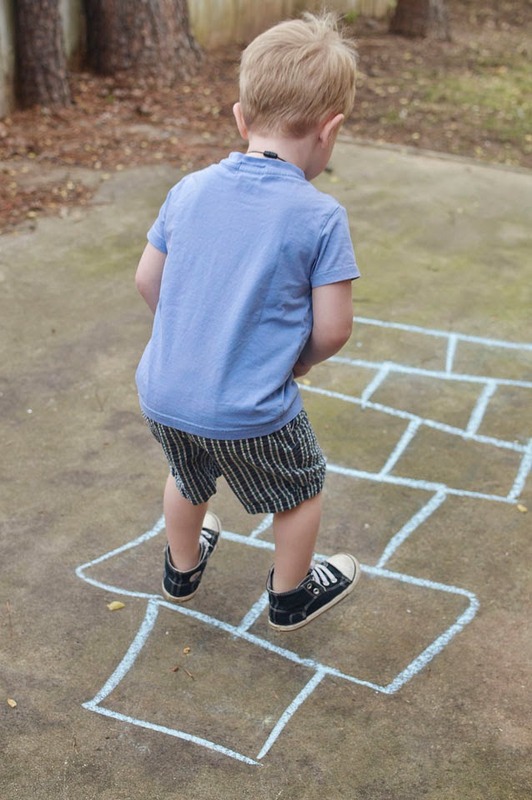 Playground: Although it may seem like a no brainer to us, this is one of the best things you can do with your kids. It’s free, it’s fun, and it’s different each time. 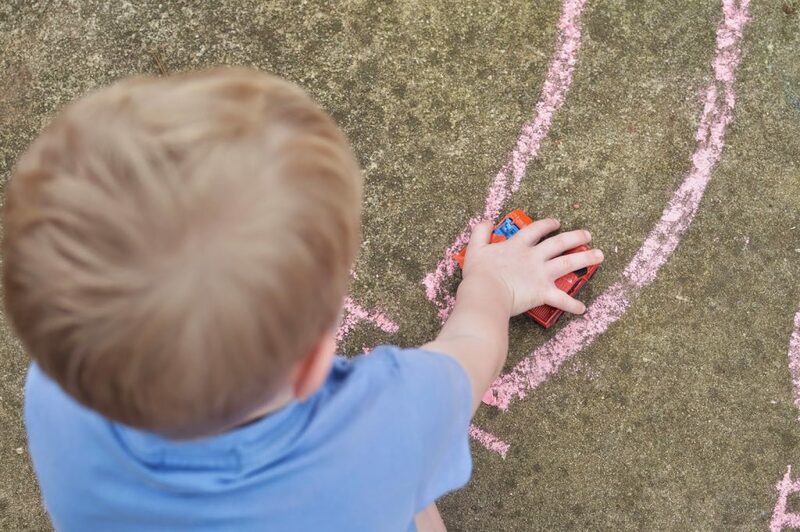 The kids at the playground may be different, one activity may stick out over another one, and it can always be something else. A spaceship, a pirate ship, an army truck. Give them a scenario and watch them run with it. 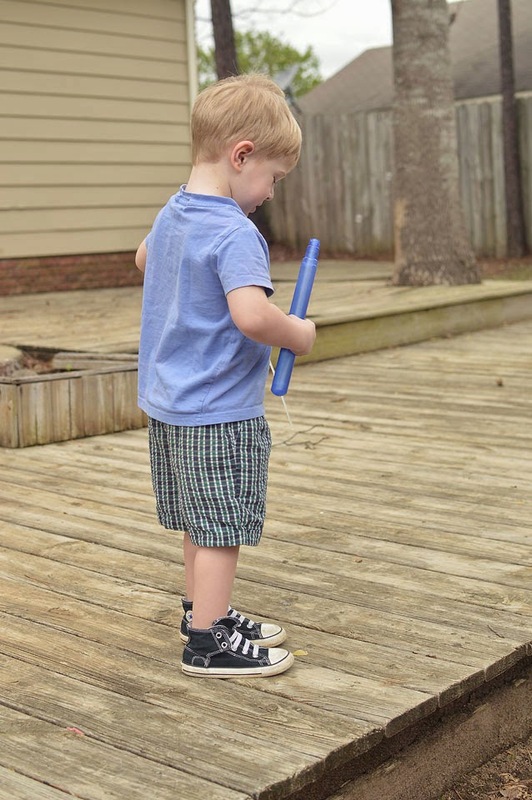 Water table: we have one but if you don’t have one, you could always just use bins or containers. Add water, people, cars, animals, toys… whatever! The water table was fairly inexpensive and keeps them occupied pretty well! Hula Hoops: of course there’s traditional hula hooping, but you can also use them for tunnels, bean bag tosses, and other games. My daughter likes to just carry it around and put it around things. It’s the little and most simple things that keep their attention! Pool noodles: I’ve seen people make boats, basketball hoops, etc out of noodles. Us? Good old sword fighting. Cut the noodle in half and you’re good to go! Apparently it was the best $1 I ever spent! 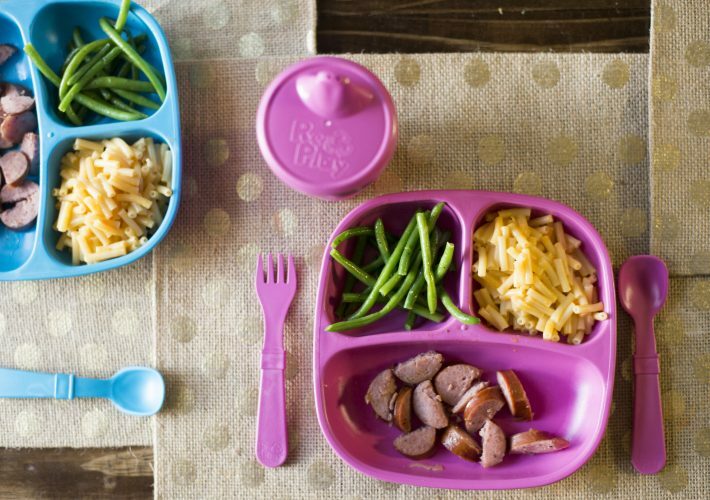 Kids are kids, which means they’re going to get dirty. And while some kids don’t mind, my kids (mostly my son) absolutely hate getting dirty. 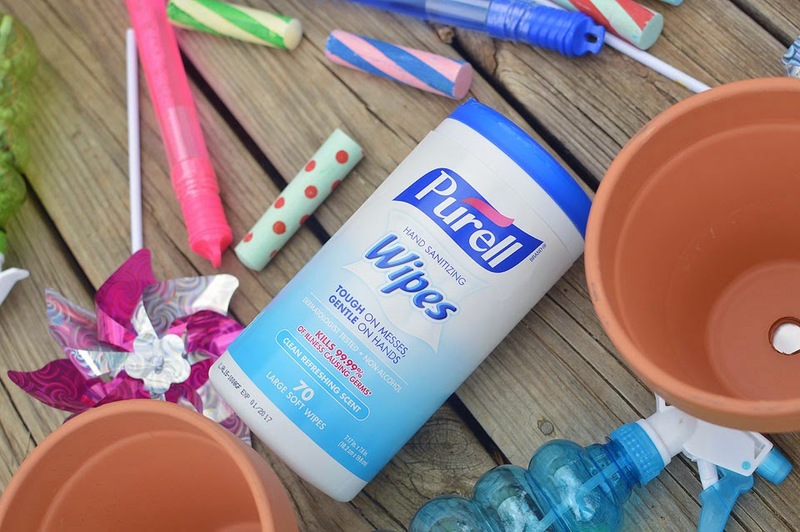 These PURELL® Hand Sanitizing Wipes are a lifesaver. 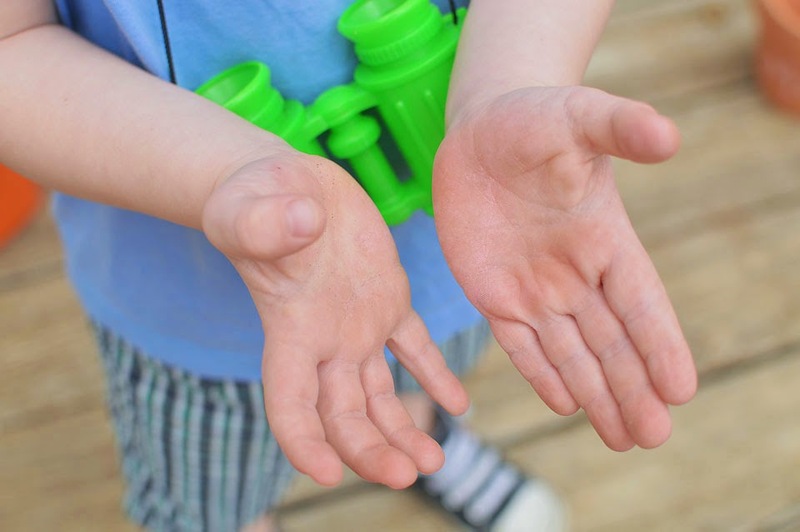 They wipe the germs off your kiddos’ hands and let them carry on with the fun stuff 🙂 They also kill 99.9% of illness-causing germs and are perfect for at home or on the go! Grab a coupon here and get some for yourself! What are some of your favorite outdoor activities?? I’m always looking for new ideas! « An hour makes a difference.